The chapter 7 means test was a new requirement that had passed with the 2005 BAPCPA (Bankruptcy Abuse Prevention and Consumer Protection Act) . To be able to qualify to file a chapter 7 bankruptcy, a debtor must pass the chapter 7 means test or the bankruptcy means test must not apply to them. Otherwise debtors must file a chapter 13. Usually it is better to file a chapter 7. Under chapter 7, a debtor is not required to pay back to the unsecured creditors and the entire bankruptcy is completed within 4 months. If you have been told or you think you do not qualify for chapter 7 bankruptcy means test, make sure you talk to us. We have obtained chapter 7 discharge to many clients who were advised by other attorneys that they do not qualify. We only practice in Bankruptcy so we know how to use every deduction and expense to qualify you for chapter 7 means test. You must pass the means test to be able to file chapter 7 bankruptcy. The means test is a two portion test to see whether a presumption of abuse arises given your income and expenses. The purpose of the test, when it was developed, was to determine if a consumer had abused the use of credit cards. It now has become a rule that the trustee uses to determine if you qualify to file chapter 7 or require you to file chapter 13 or dismiss you bankruptcy. Chapter 13 is more burdensome and requires you to make payments of your disposable income for the next 5 years. 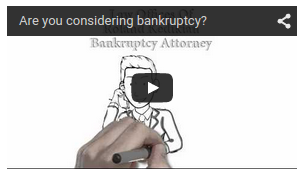 An experienced bankruptcy attorney will know how to qualify you for a chapter 7 if possible. The first part of the test is to compare your gross income, compared to the median income of a similar household size as yourself. If your gross income is below the median income, then you qualify. For example, if the household income was under $47,683 for a single individual in California, then he would qualify to file chapter 7. Each state is different. You can find the data used in a means test at the trustee site. If a debtor does not qualify under the first part of the chapter 7 bankruptcy means test, he may qualify under the second portion of the means test. Under the second portion, we take all the qualified expenses and monthly contractual obligations into consideration. An experienced bankruptcy attorney with knowledge in the local practices of the trustee is invaluable in qualifying the otherwise difficult cases. If you you have been told by other attorneys that you do not qualify to file a chapter 7, I urge you to contact me. We know every deduction and expense available to make you qualify. In certain circumstances, delaying the bankruptcy or better planing for it, may result in qualifying you in 3-4 months down the road. Finally, in certain circumstances, the means test is not applicable to you. Mainly if the majority of the debt is non-consumer debt. Again, the courts have different interpretation of what they consider to be consumer debt. The right bankruptcy attorney can guide you through these pitfalls and get you a chapter 7 discharge. 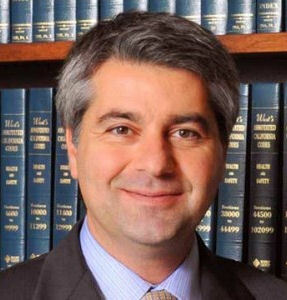 Learn More About Bankruptcy Attorney Roland Kedikian. Keep reading about the Basics of Chapter 7 Bankruptcy.